The term 'folly' comes from the French 'folie', meaning 'foolish'. The definition of a folly in the Penguin Dictionary of Architecture by Pevsner is "A costly but useless structure built to satisfy the whim of some eccentric and thought to show his folly; usually a tower or a sham Gothic or classical ruin in a landscape park intended to enhance the view or picturesque effect." They were popular in the 18th and 19th centuries when they were built to add visual interest or to provide a destination for walking or riding. The Folly Arch at North Mymms, Herts is a Grade II* listed building situated in Brookmans Park. It is thought to have been built around 1730 by Sir Jeremy Sambroke as the south driveway entrance to the 16th-century mansion known as “Gobions”. The mansion was pulled down in 1836, but the remains of a track from the Folly Arch to Gobions Wood can still be seen. It has been attributed to James Gibbs, the architect for St. Martin in the Fields, and is in the style of a medieval arch. 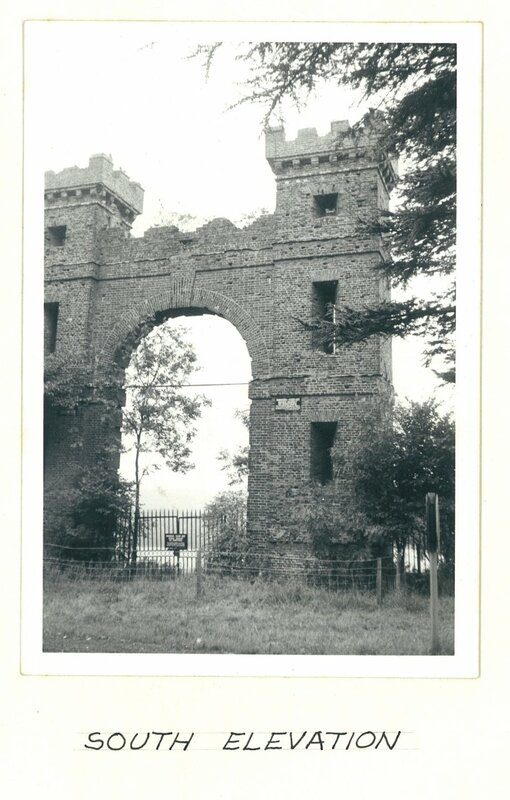 In a report on the Folly Arch written in 1970, G. B. 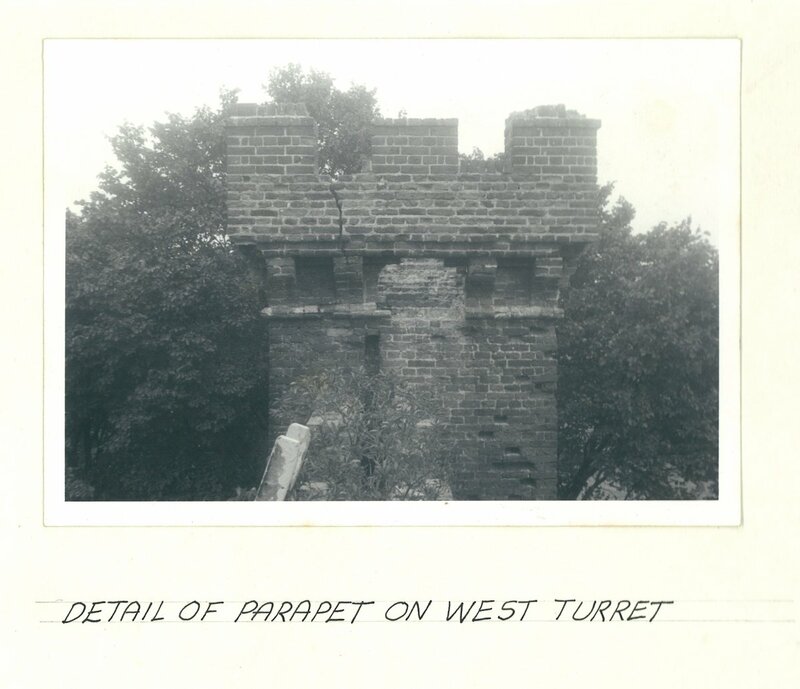 A. Williams describes it as “massively constructed of brick and flanked by two brick turrets, the whole crowned with battlements.” The accompanying images in the report show the imposing structure and also give an insight in to what it must have been like to survey this type of building – the top a ladder can just be seen in the photograph of the west turret. The Folly in Settle, Yorkshire was built in the late 1670s by a wealthy local lawyer called Richard Preston. Preston died in 1695 and his daughter, Margaret, sold the building to a local gentleman, William Dawson. It stayed in the Dawson family until 1980. This building is not a folly in the traditional sense of the word, but acquired the name because, according to a local guidebook, it “might have seemed so to the people of Settle when only 30 years after its building it was abandoned as a gentleman’s residence by the then owner, William Dawson, who perhaps was so affected by the death of his wife only three years after their marriage that he may have taken a dislike to it”. This Grade I listed building has been a family home, farmhouse, bakery, warehouse, furniture shop, refreshment rooms, fish & chip shop, and holiday rental property. It is now home to the Museum of North Craven Life. 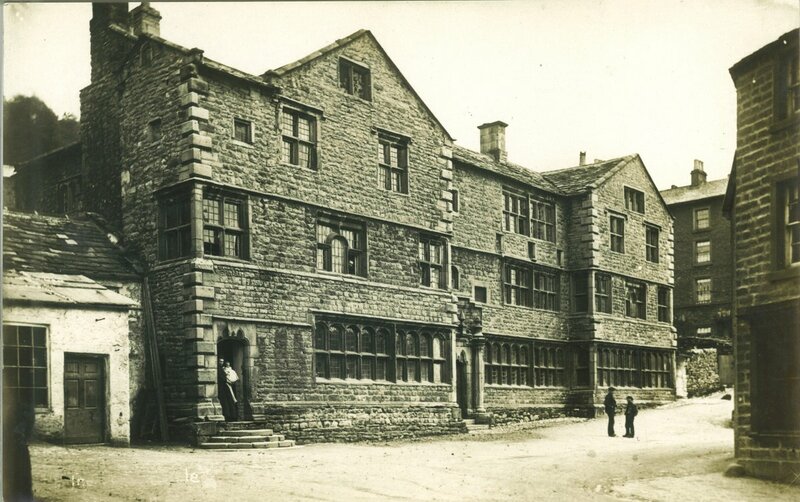 The photograph shown was taken in April 1930 when there were a number of tenants living in the building and a part of it was used as a shop. It’s interesting how buildings can be a folly by design, or become a folly by a change in the owner’s circumstances or a change the surrounding environment which leaves it out of context. Whichever way, both these buildings and the many other follies around the country are fascinating, important and much-loved landmarks.